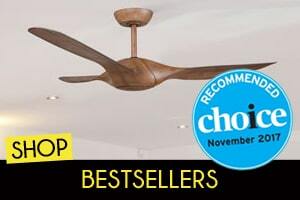 Ceiling Fans Warehouse is an Australian owned and operated online store where it is convenient and safe to purchase ceiling fans online. 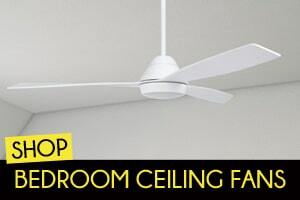 On top of that, we have extremely good prices on ceiling fans Australia wide! We offer you great choices with options that include a ceiling fan by itself, a ceiling fan with light, ceiling fan with remote and ceiling fan with light and remote. Use our easy search tools below to help find the fan for you. Ceiling fans are a great way to save energy. They on their own provide cooling and great airflow, while coupled with air conditioning you will find that you can save up to 40% of your energy costs! It is interesting to note that most fans will use a similar amount of power as a 60 watt light. So this summer keep cool for less with costs as low as 1 cent per hour. Ceiling Fan Installation – Getting your ceiling fan installed by a professional is essential. 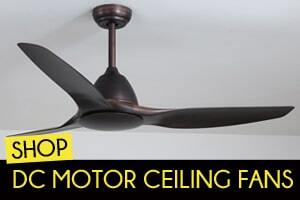 Under Australian regulations, a qualified electrician must be used for ceiling fan installations and the client should receive a signed certificate issued by the electrician. 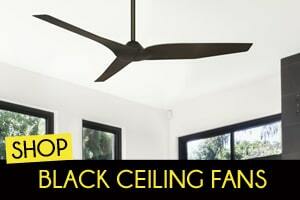 Best Ceiling Fans for Large Areas – The best ceiling fans for large areas will often depend on your individual application. Ask yourself what your priorities are, for example: do you require exceptionally high airflow. What does CCT LED stand for and what advantages does it have? – You may be seeing the term CCT LED light on some of our listings but perhaps are a bit unsure of what this actually means and how it would be. 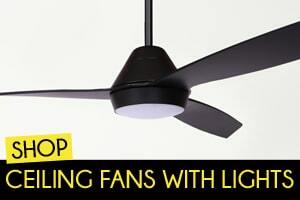 Low Profile Ceiling Fans – If you have low ceilings, considering that the standard ceiling height is around 2.4m, you might like to view our range of Low Profile Ceiling Fans. Ceiling Fans Warehouse now offers Afterpay as a payment method. 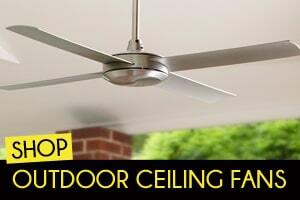 Pay for your ceiling fan over 4 equal installments due every 2 weeks. We offer a wide variety of products to match most decors from traditional to modern and architectural as well as fans to create a tropical oasis in and around your home. Consider the surrounds of the room or area where the fan will be installed so you can match the colour and style to complement it. Remember that although we are able to provide our customers with fantastic prices, our ceiling fans are all great quality products that all carry a warranty. 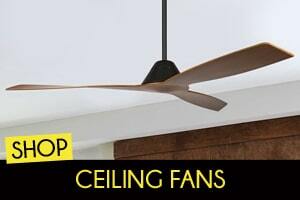 Buy ceiling fans Australia wide as we ship promptly within 24 hours*. Your fans will be delivered safely and quickly to your door while you enjoy cheap ceiling fan prices. We have excellent freight promotions also to give you free delivery if your order is over $150 and you send them to a metro address*, or we will subsidise the shipping cost by 50% to all other areas* if your order is over $150. Read our shipping promotion for more information. 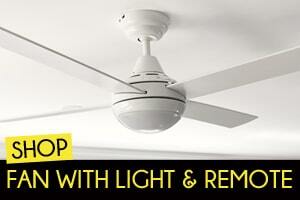 For more information on installation read our ceiling fan installation guide. Your safety in buying online is paramount to us so we have put in place several security measures to ensure your experience is secure. We offer a secure ANZ e-gate payment gateway as well as bank transfer options so you have the choice of what you feel most comfortable doing. Our site has an SSL certificate also to help with the overall security of the our Ceiling Fans Australia Warehouse website.